Some of us attended this last year. Highly recommended and FREE (including free breakfast and lunch). 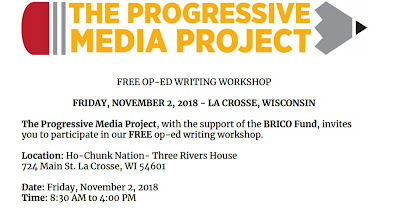 The Progressive Media Project, with the support of the BRICO Fund, is again offering six FREE full day op-ed writing workshops this fall throughout Wisconsin—including La Crosse on Friday, November 2. 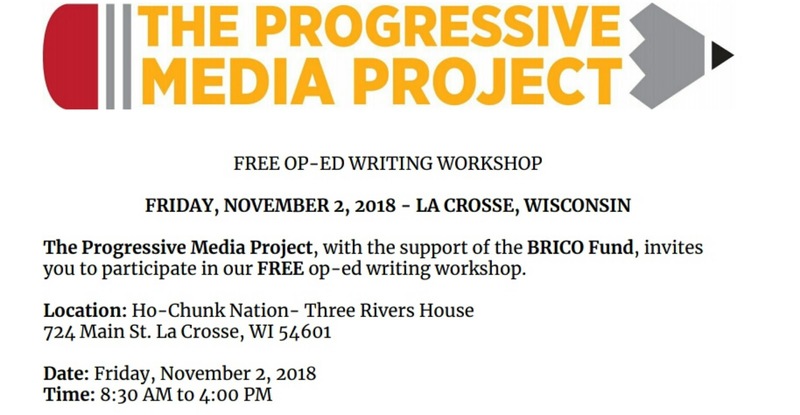 The workshops are free, open to anyone, and is a great opportunity for those interested in further developing writing skills for advocacy work. REGISTRATION HERE. White supremacism comes in many more forms than shouting racial slurs or engaging in blatantly discriminatory behavior. In addition to these forms of 'hard' white supremacism, there is also a wide array of behavior which can be called 'soft' white supremacism- things which enable or sanction more blatantly harmful behavior and make spaces harmful to marginalized and oppressed people. The same problem exists for other kinds of oppressive or abusive behavior, particularly transmisogyny. Recent events within the La Crosse Area Freethought Society (LCAFS) regrettably exemplify one of these forms of 'soft' white supremacism. A toxic member of this organization occasionally posts racist and transphobic content to the group's e-mail listserv. In April 2017, he made a series of statements denying the validity of transgender people, saying things like “We have to help people accept who they are, not who they wish they could be. No one should be changing their bodies,” “People don't get to choose. Science does. Genetics does,” and “they they don't have a womb and can't bear a man a child.” I called for him to be banned for abusive behavior, but when that call was rejected I settled for joining in on pointing out all the reasons he was wrong, none of which had any effect as this is the Internet. The issue of this toxic member came to a head this May, when he posted a link to a YouTube video by a notorious white supremacist organization (Southern Poverty Law Center page about them: https://www.splcenter.org/fighting-hate/extremist-files/group/american-renaissance) about supposed racial IQ differences; he claimed it was part of an earlier discussion and called it “controversial” and was “sure it will generate some discussion”. Several people briefly discussed its merits, including one who pointed out that that group is “a nasty pool of hate and misinformation” and another who wrote a lengthy apology for the statistical merits of discussion supposed racial differences in IQ. White supremacist propaganda has no place in civil society. Free speech does not mean a free-for-all; it relies on rules. Fraud is banned; nobody would dare use a “free speech” defense for scam artists. Credible threats are banned. Speech or ideas delivered in a disruptive manner is generally banned (although sometimes necessary, but then it's not on "free speech" grounds). Similarly, many ideas which have been discredited are not given a platform; universities are not in the habit of inviting speakers to seriously discuss perpetual motion devices, Cartesian vortices, or phrenology. The phrase “sifting and winnowing” implies that some ideas deserve to be discarded. The argument that there are racial differences in IQ is technically true on the surface level, but white supremacists use this statistical trivia to imply that there are inherit genetic differences between races; this conclusion has been debunked repeatedly (see https://rationalwiki.org/wiki/The_Bell_Curve or http://www.dartmouth.edu/~chance/course/topics/curveball.html). In short, IQ is measured according to culturally-biased tests which effectively measure socioeconomic status, not any kind of 'inherent' intelligence. The racial IQ argument is still used, despite the fact that it's useless, because those who spread it are not trying to make rational, logical arguments. White supremacists do not argue in good faith. They misportray themselves in order to manipulate people into believing things that are not true. They skirt the edges of the rules of civil debate, breaking rules in spirit while carefully abiding by them in letter. They gradually gain control of the discourse through these and other techniques such as gaslighting, or even seize editorial control if possible. Their target audience is not people who understand the arguments or situation, but people who are new to the ideas or confused. They use the techniques of cults and abusers (side note: these are also the techniques of contemporary right-wing authoritarian regimes like the ones in Turkey, India, and the United States). After several days of discussion of whether or not this person should be removed from the group, with all except me agreeing that he should not be, he returned stated that his reason for posting the video had been taken completely the wrong way. "Every single one of you have missed the point," he said. However, if you think that this was a prelude to him distancing himself from the video and clarifying that he only posted it for discussion purposes, I'm afraid you're in for a disappointment. "If IQ is genetic, we can identify the genes and use genetic engineering to make children smart, regardless of race." It went downhill from there. After the LCAFS leaders again refused to ban him, I snapped and made a somewhat regrettable comment attacking the person, the leadership of the Freethought Society, the other members, and the organization as a whole. In response, I was banned. I was informed that the reason I was banned was that my comment was borderline abusive. Let's go back and check the scoreboard. The transphobic white supremacist was not banned or told to stop his abusive behavior. I, however, was banned for being rude. What else is there to conclude but that the LCAFS leadership considers rudeness directed at them as being worse than transmisogyny and white supremacism? E-mail responses from one of the LCAFS leaders highlighted that their reasoning was that I was not able to “conduct [my]self in a reasoned and measured way” and that “the manner in which [I] expressed [my]self via email crossed the line into abusive language”. Has there ever been a better example of middle-class white obsession with form over function? Or of privilege so extreme that there are no real-world consequences, and so everything is regarded as purely academic and aesthetic? I was told that “We don't have a list of topics that are off-topic, nor do we have an intention of developing such a list and policing it”; I see no reason why transmisogynist and eugenicist statements should not be considered abusive under the same policy by which I was removed (which, for what it's worth, I have never seen; in all my years in LCAFS, I never even knew there were bylaws. I cannot recall there ever being elections to the board. It is not a democratic organization). Unwilling to let the matter rest, I attended LCAFS's monthly “Think And Drink” social gathering at a local restaurant in July. One of the founding leaders of LCAFS graciously allowed me to address the group, where I reiterated the necessity of removing this toxic and abusive racist from their organization. The only response I received was that another one of their leaders, the one who had kicked me off of the discussion list, refused to tell me whether the person in question had been banned from the group, and threatened to have management remove me from the restaurant. Instead, I had a lengthy side conversation with the other leader, where we completely spoke past each other- I again repeated the importance of removing the person in question, while he focused entirely on my behavior. He also decided to tell a story about “racism” against him, a white man, when he was a child; needless to say, I was not swayed by his story of a Native American neighbor telling his child not to play with him because he was white. He concluded by telling me to drop it. However, white supremacism and transmisogyny have no place in society, and especially not in organizations which claim to be progressive. Individuals and groups trying to spread those kinds of hate work by worming their way into the discourse, presenting lies as fact, and trying to sway people who are new to these discussions. They cannot be allowed to have access to any potential recruiting ground. They do not have a right to equal access to forums, because their strategy is to poison the well. The La Crosse Area Freethought Society must remove this toxic and abusive person. Until they do, all people and organizations should be wary of LCAFS. I also urge all readers to be more vigilant about unsalvageably toxic individuals and manipulative techniques, both in your organizations and in your personal lives. Just notified Sen. Ron Johnson's staff will hold office hours on THURSDAY, AUG. 16 from 8:30 to 9:30 am at the Campbell Town Hall, 2219 Bainbridge Street. One question, for example, why isn't Sen. Johnson demanding all families torn apart by D Trump's "zero tolerance" policy be immediately reunited? What about the bus full of school children bombed by the US in Yemen? Etc. The candidates are chosen. Now we have just a few months to work for the change we want. 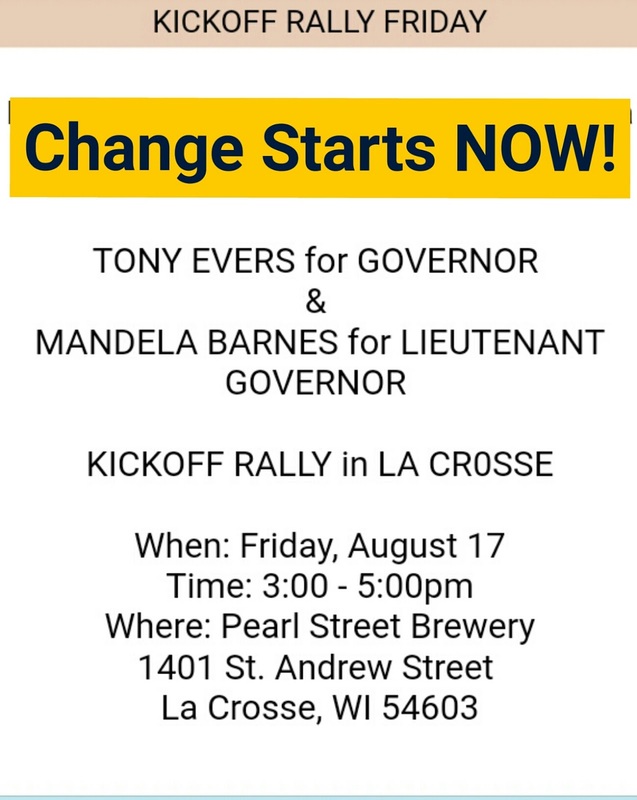 How much do you want a state government that promotes affordable healthcare (maybe even Badgercare) for all rather than spiraling premiums, junk policies, and punishments for the working poor? How much do you want a real DNR with real scientists driving policies that protect the environment? 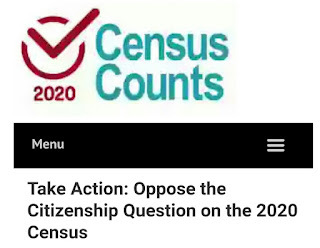 How much do you want fair maps and a return to Wisconsin's commitment to clean government? How much do you want official recognition that catastrophic climate change must drive an immediate switch to statewide renewable clean energy? How much do you want fair funding for great public schools pre-k through university? How much do you want decent multi-modal transportation infrastructure that serves all the state? How much do you want our job and small business development agencies to actually benefit local and state small businesses (with audits and accountability for incentives given). 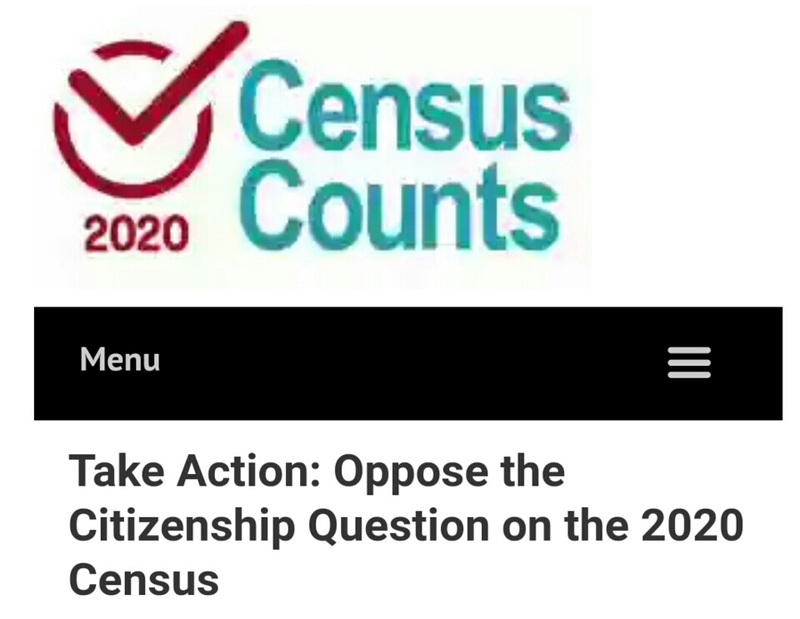 How much do you want our state to stand up for the rights of all its citizens? That's how much we all need to work, from now until election day, to make those changes. Sign up to canvass, phone bank, and text bank. Donate if you can. Make sure everyone you know plans to vote in November. Make sure they know why this is so important. Even if you've never canvassed, or you don't like calling strangers, or you don't want to talk politics, just remember what's at stake and how much you want change. 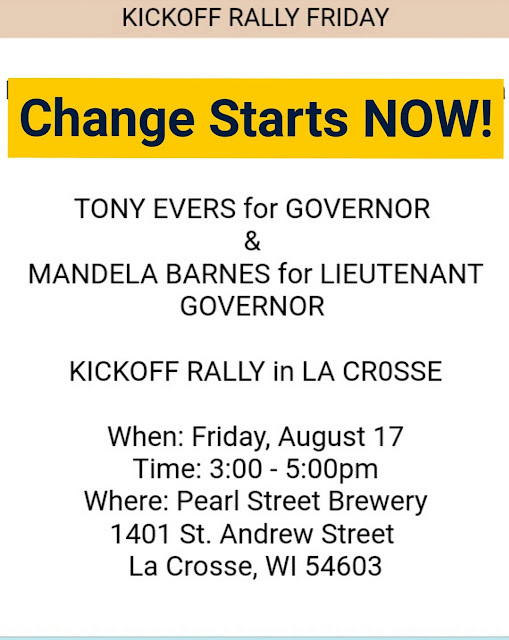 Democratic gubernatorial candidate, Tony Evers, will join lieutenant governor candidate, Mandela Barnes, at ***LOCATION UPDATE*** Pearl Street Brewery, 1401 St. Andrew Street on Friday at 3 pm. Drop by to meet them and sign up to make a change this November.